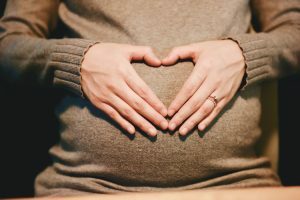 With the amazing announcement of both Dr Sarah and Dr Mandy expecting we thought it appropriate to talk about the importance of chiropractic during pregnancy. Both Dr Sarah and Dr Mandy are getting adjusted weekly currently to keep their spine and nervous system functioning optimally and allow good pelvic positioning as the babies are growing. Ease pregnancy symptoms- Chiropractic care has been shown to help ease pregnancy symptoms in some women to support their body as it is growing the new baby. Healthy mom, healthy baby- The main premise of chiropractic care is to remove interference to the nervous system to increase the bodies natural functioning and healing ability. Helping to increase immune system function as well which is intimately connected by both mother and baby. Back pain relief- Research shows that many women experience low back pain during pregnancy typically caused by the sacroiliac joints. This can be alleviated and stabilization exercises given to assist mom and baby through a smooth and optimal pregnancy and delivery. If you or someone you know is pregnant we would love to meet them to give them more information or do a check-up for them to let them know how they can optimize their pregnancy and delivery. ← What will I do to feel the way I want to?